Summer brings hotter temperatures and as a result, we often use more water than at any other time of the year. Conserving water, especially during the summer, is something that everyone should try to do. By following these tips, you can easily take steps to save water during summer. While it may be more convenient to drench your yard during the daylight hours, direct sunlight causes the water to evaporate more quickly. Confine your watering to the early morning hours so water has the chance to penetrate the ground and nourish your grass and plants. Aim your hose or adjust your sprinkler systems so that none of the water is wasted on the driveway or road. A drip irrigation system is one way to target particular plants with specific amounts of water. To minimize water use, consider replacing thirsty foliage with a drought-tolerant garden that uses succulents. 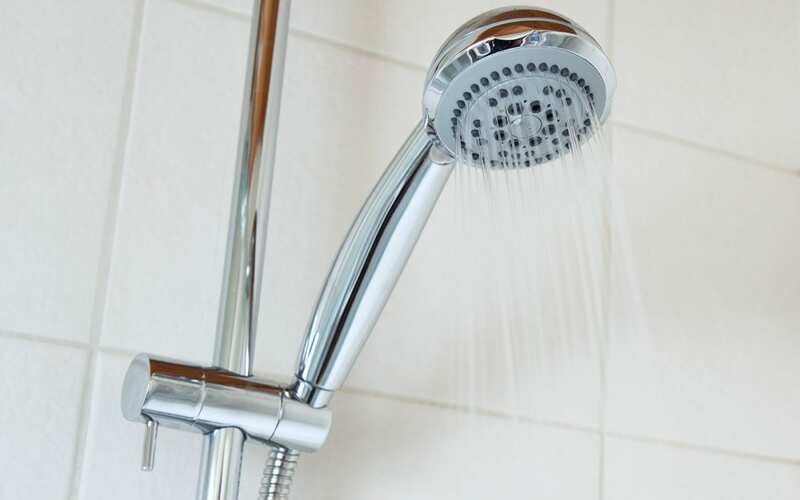 A long hot shower may prove refreshing but it uses up about 2.5 gallons per minute. Cutting your time by about two minutes saves you five gallons, which adds up over the year. To save even more, turn your shower off while you’re soaping up. When you shave or brush your teeth, do you keep the water running? You can save water by turning it off except when you’re wetting or rinsing the razor or toothbrush. Consider adding flow restrictors to your shower heads or faucets. You can buy these devices inexpensively at a home center or sometimes for free at your water utility company and install them yourself. They cut the flow of water to about 1.5 gallons per minute without reducing pressure. If you have an older toilet that uses plenty of water when you flush, put a waterproof object in the tank. That object displaces an equal amount of water so that you use less each time you flush. If you notice any leaks, get them repaired immediately. A slow drip over time adds up to many gallons of waste a year. Washing your car at home may seem like a great way to save money while getting out in the sun, but it uses up to 10 gallons of water per minute, assuming you use an ordinary garden hose, which equals about 100 gallons of water with a 10-minute wash. Modern car washes typically conserve water by recycling from 10 to 80 percent of what they use. They also have special sanitary sewers that carry the wastewater to a treatment plant. Automated car washes not only save water during summer, they also help the environment. You may think that you’re saving water when you wash dishes by hand. However, a load typically takes 27 gallons of water while an energy-efficient dishwasher uses only around 4 gallons. Help your appliance out by scraping off any food beforehand, but don’t bother to pre-rinse because your dishwasher will do that. Run your appliance only when it is completely full for maximum efficiency. Precision Home Inspectors serves Hampton Roads and the surrounding areas in Virginia with home inspections and home testing services such as water testing. Contact us to book an appointment.